A group paddle for confident paddlers. Join us in exploring the waters of Tauranga Moana. See the last of 2018 out with a bang...on SUP! Welcome the 2020 New Year in with a Sunrise on the Ocean! Paddle Lake Rotoiti, then dip in the Manupirua Hot Springs, accessible only by water. 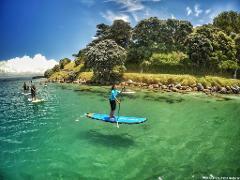 Join East Coast Paddler on an exclusive overnight trip to Tuhua with the Bay Explorer. 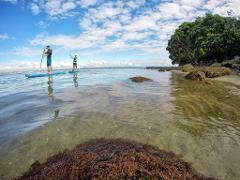 Te Okiokinga - The Resting Come join East Coast Paddler on a cultural relaxation retreat at an exclusive location on the outskirts of Tauranga.